Questions about Hardware Resources VAN091-48-T? 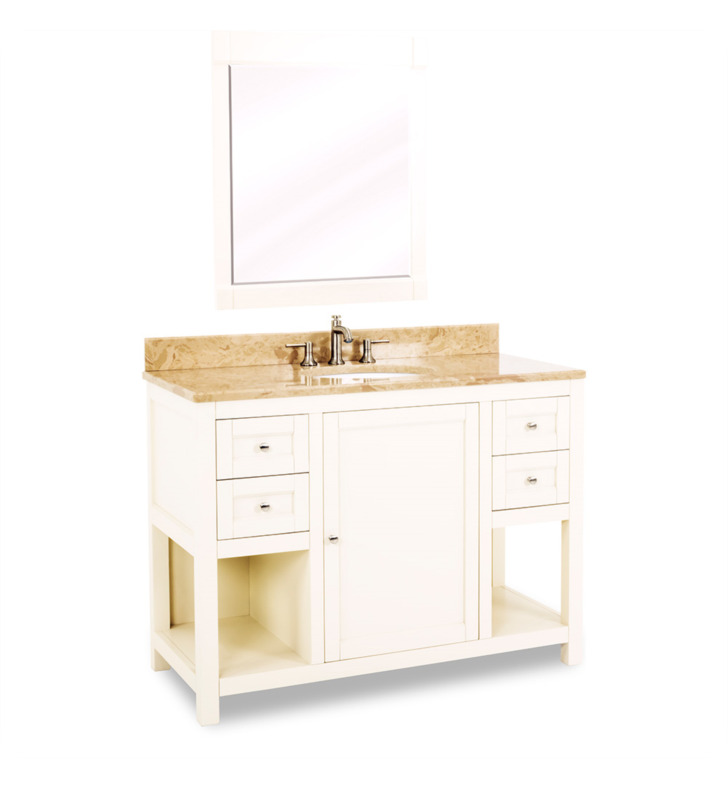 This 48" wide solid wood vanity features clean lines with a stepped door profile for a modern look. The Cream White finish is soft to complement most decor, yet bold enough to make a statement. 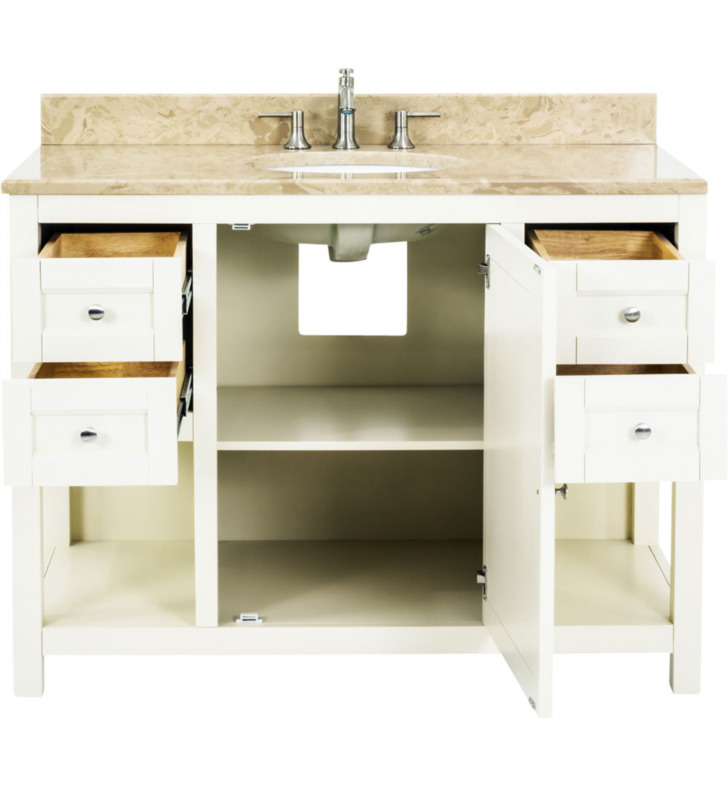 With four working drawers, two on each side of a large cabinet with adjustable shelf, and open bottom shelves flanking the center cabinet, this vanity features ample storage space. Drawers are solid wood dovetailed drawer boxes fitted with soft-close full extension slides and the cabinet features integrated soft close hinges. 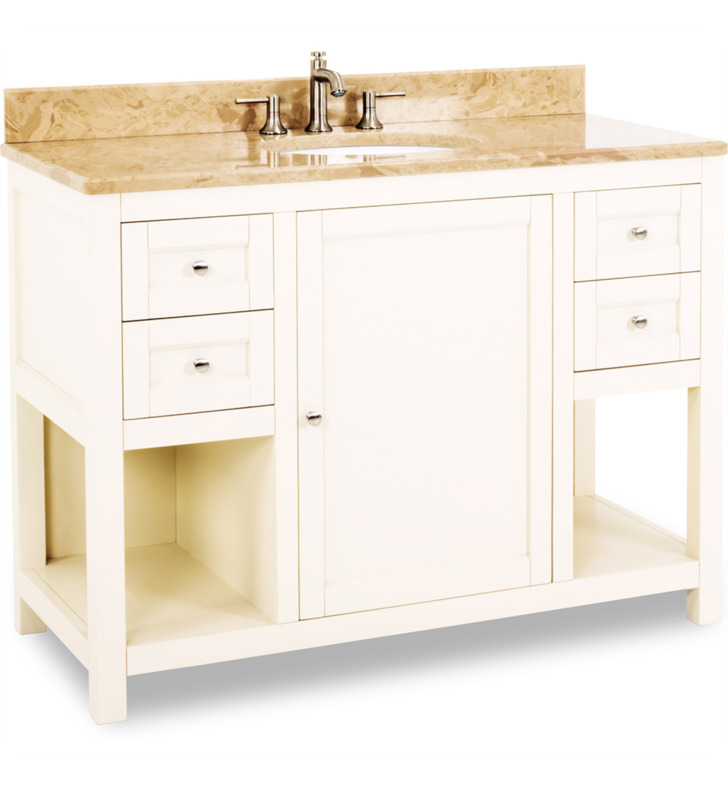 This vanity has a 2.5CM engineered Emperador Light marble top preassembled with an H8810WH (17" x 14") bowl, cut for 8" faucet spread, and corresponding 2CM x 4" tall backsplash. Vanity: W 48" x D 22" x H 36"